hudy « Big Squid RC – RC Car and Truck News, Reviews, Videos, and More! You are browsing the "hudy" category archive. 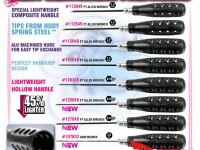 Hudy is at it again and has released their line of excellent tools designed to fit electric screwdrivers (don’t over torque!). All popular sizes are available and as usual the quality is outstanding! Click on by Hudy and check it out! 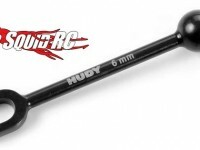 1/8 Off-Road Flywheel Multitool from Hudy! Represent your brand with pride! Hudy has let out their new exclusive professional HUDY team T-Shirts. 100% cotton and graphics on both front and back with www.hudy.net on the rear and sleeve. Offered in white, sky blue, or black from small to XXXL. Drop by Hudy and check it out!